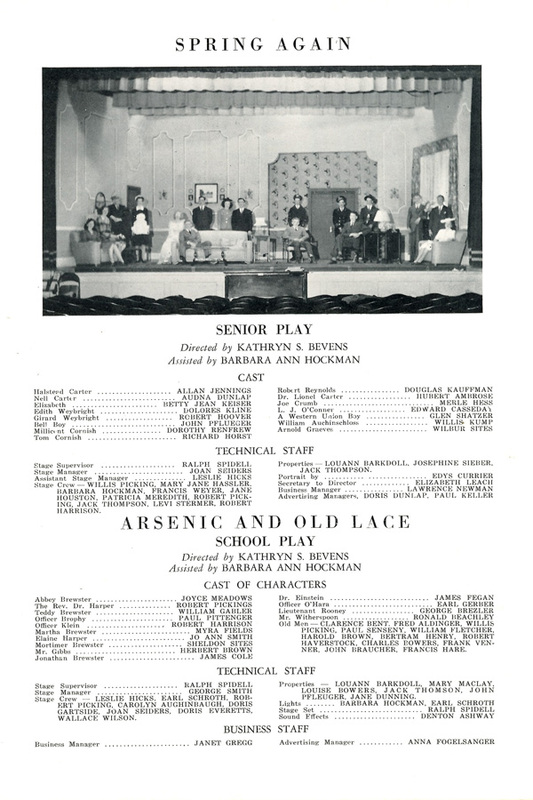 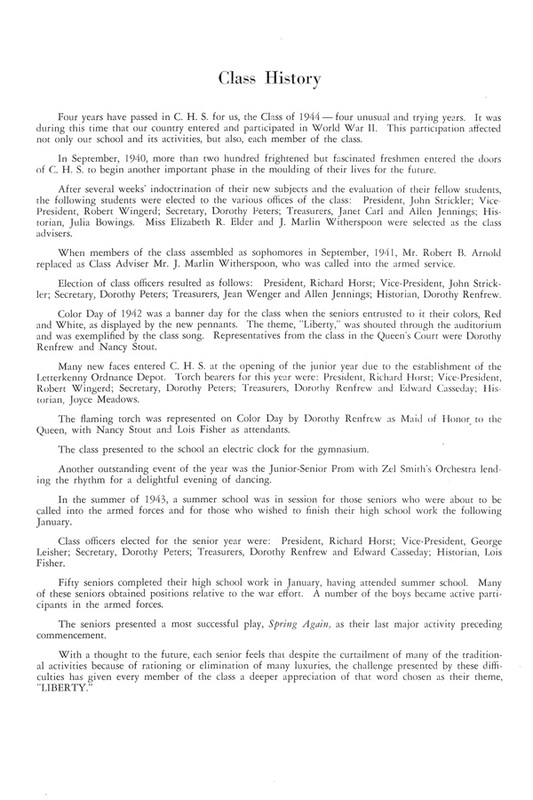 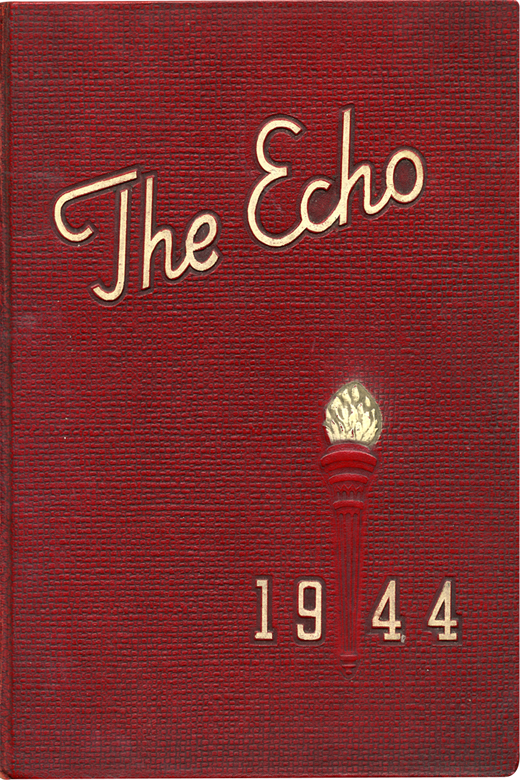 "In this publication of The Echo the class of 1944 wishes to present a pictorial account of high school life under the strain of wartime conditions. 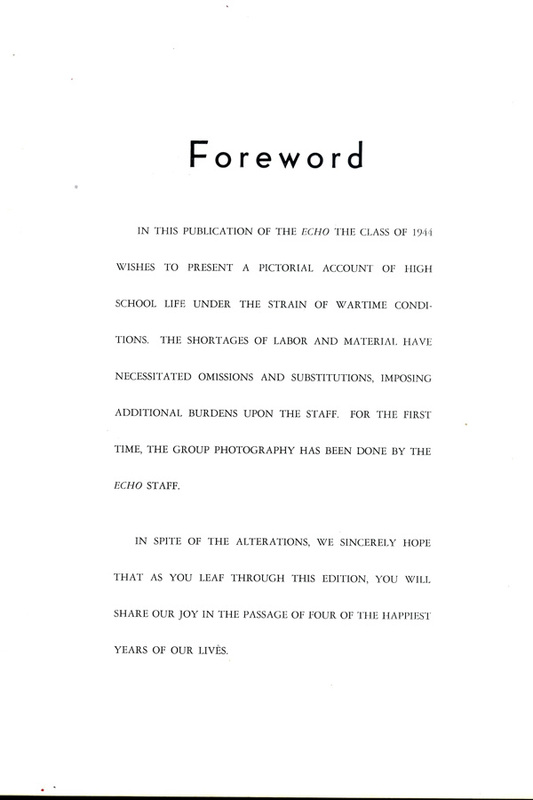 The shortages of labor and material have necessitated omissions and substitutions, imposing additional burdens upon the staff." 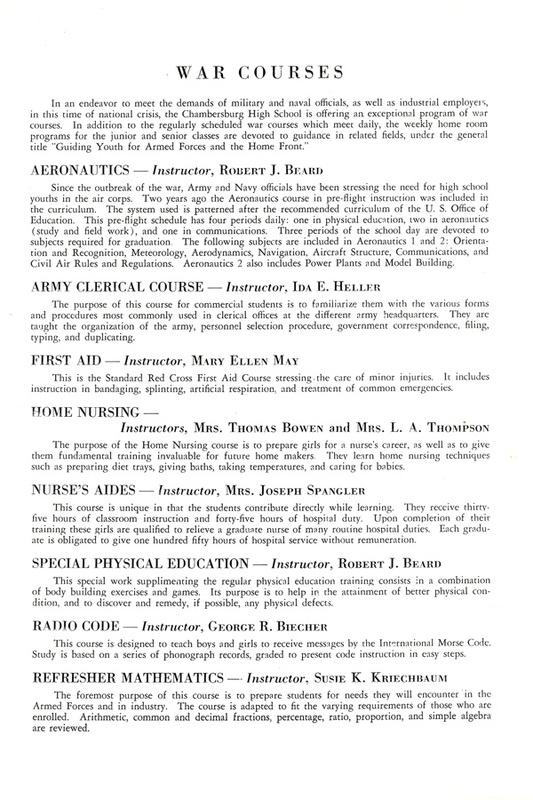 With WWII’s immense demands for manpower, many high schools began offering extra courses and short summer terms so that students could graduate as quickly as possible. 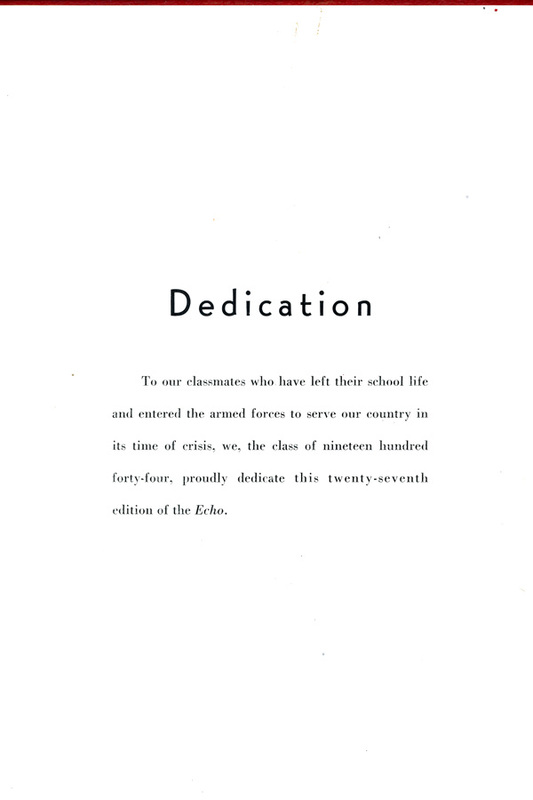 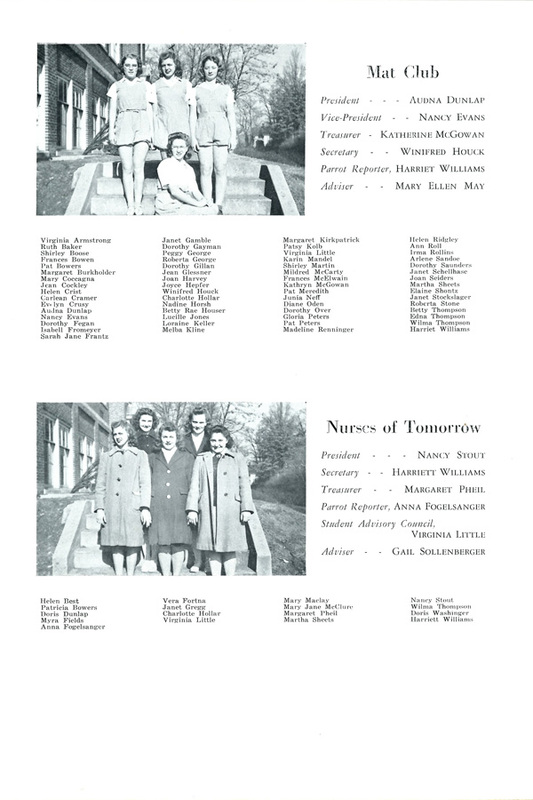 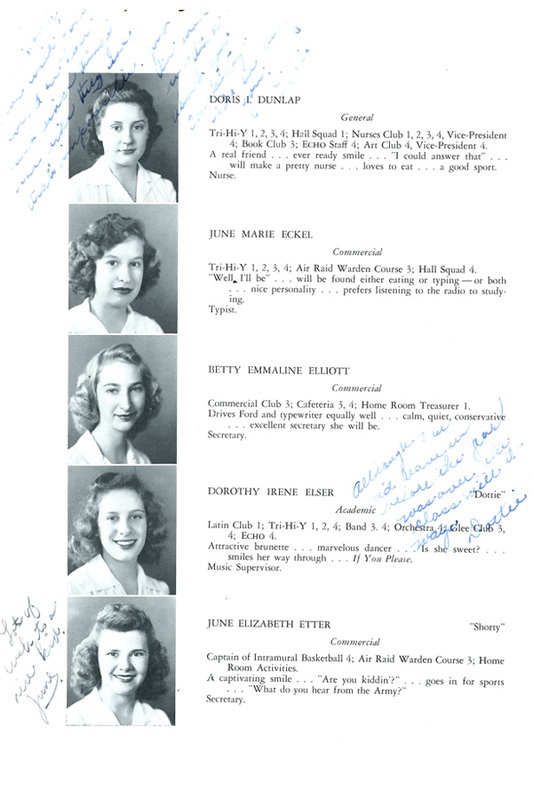 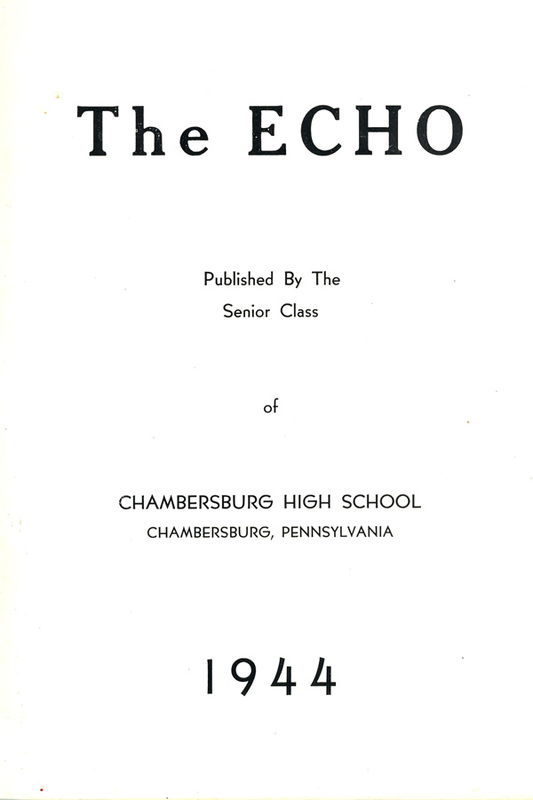 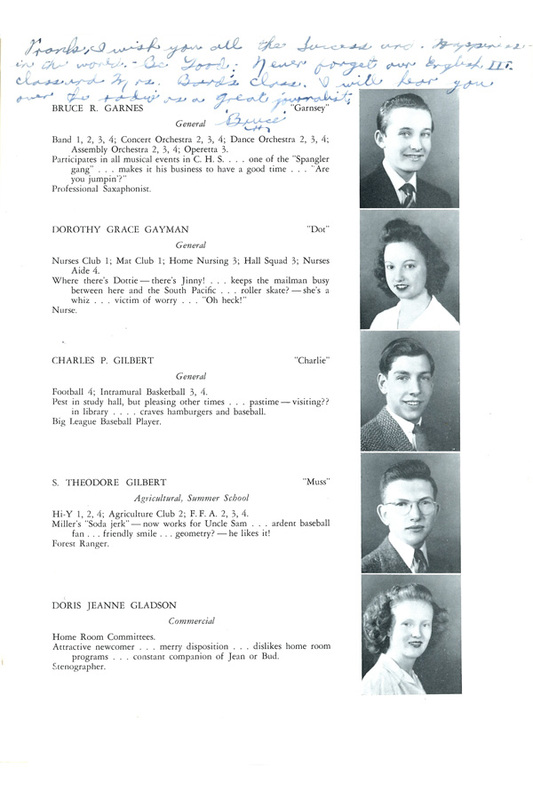 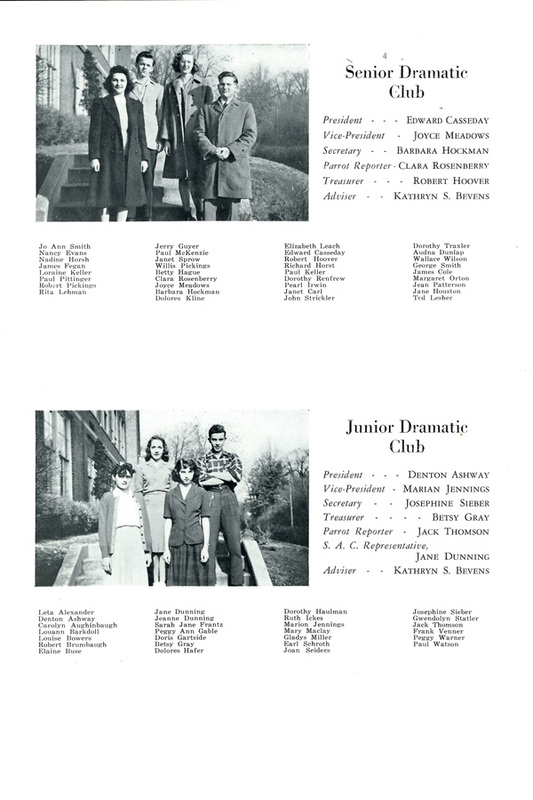 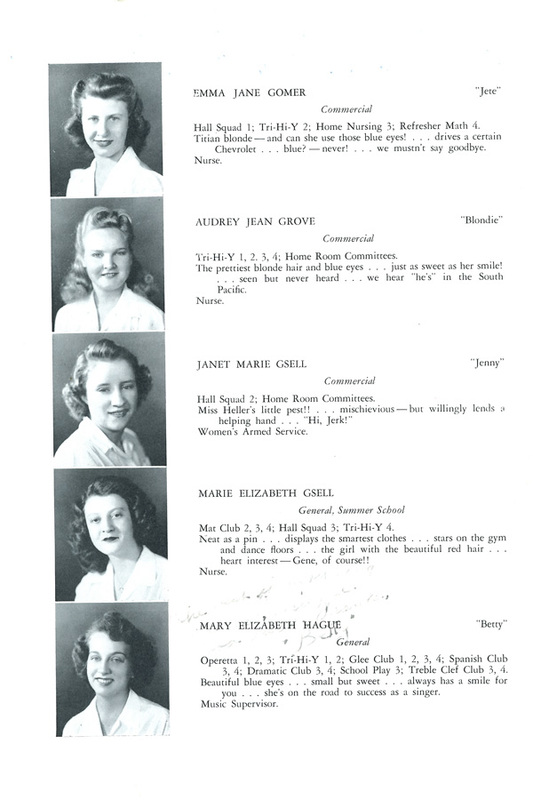 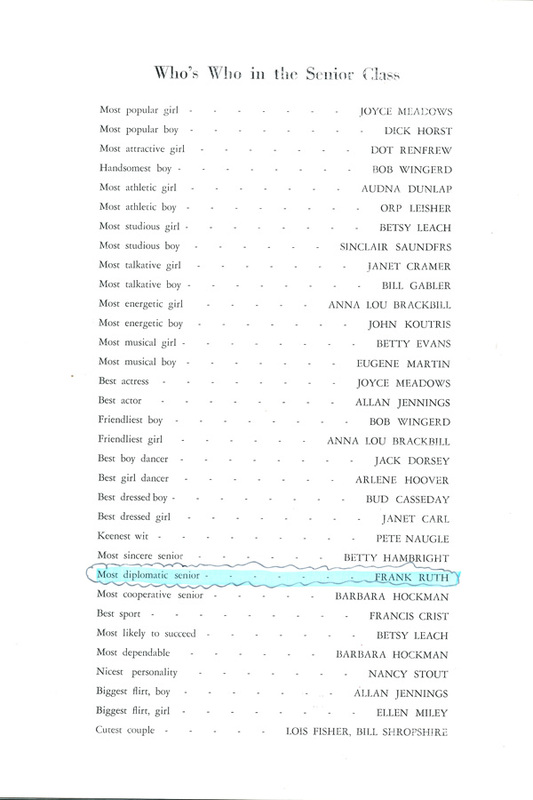 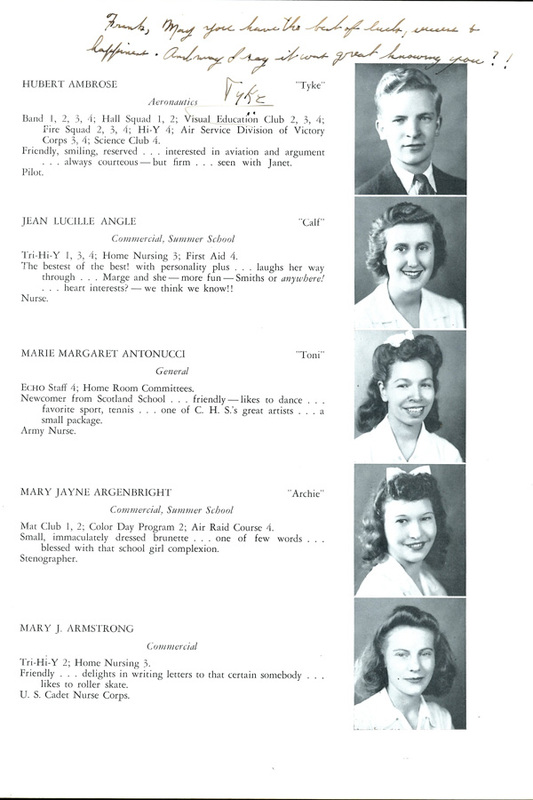 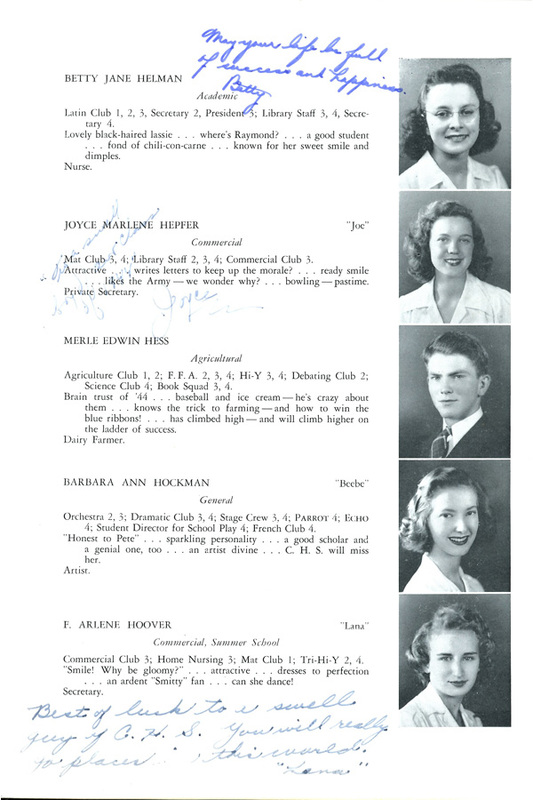 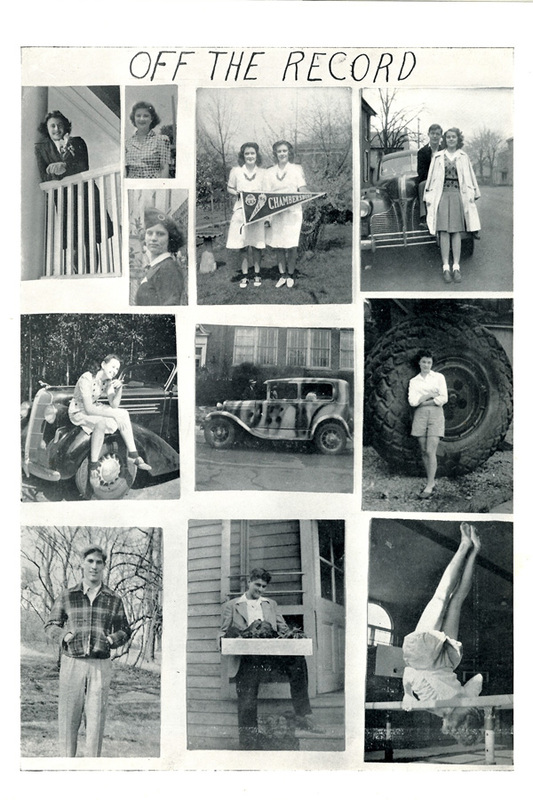 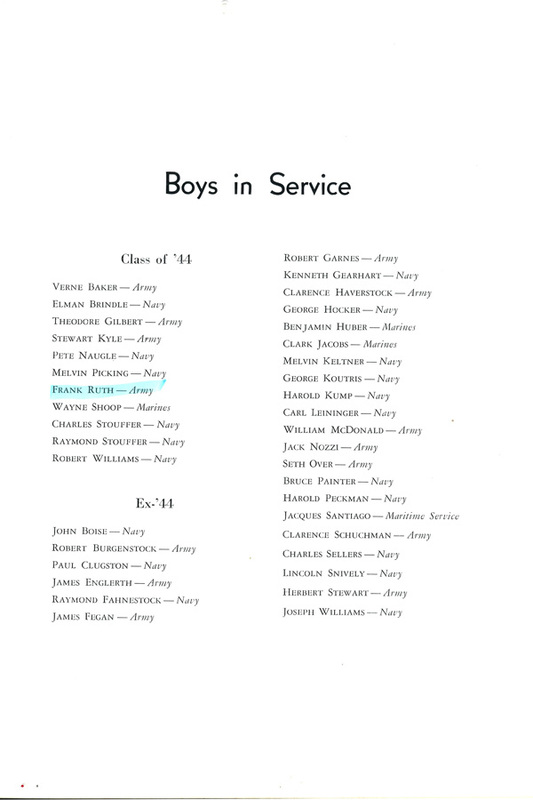 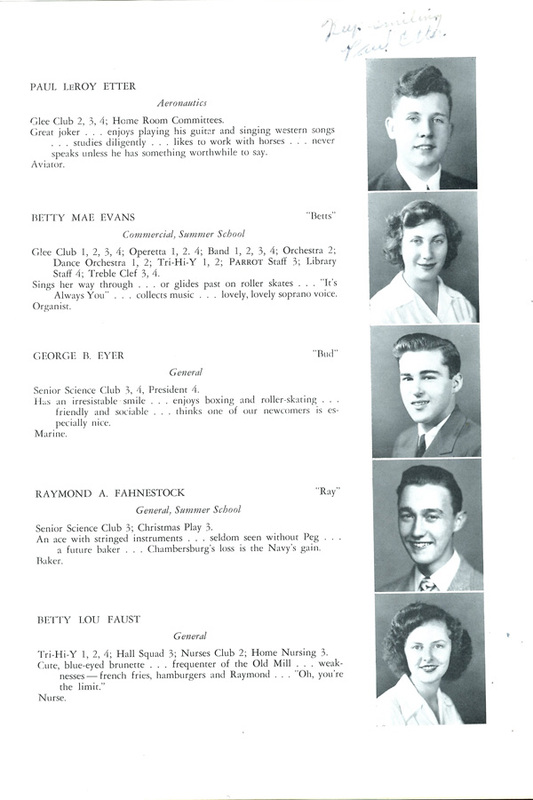 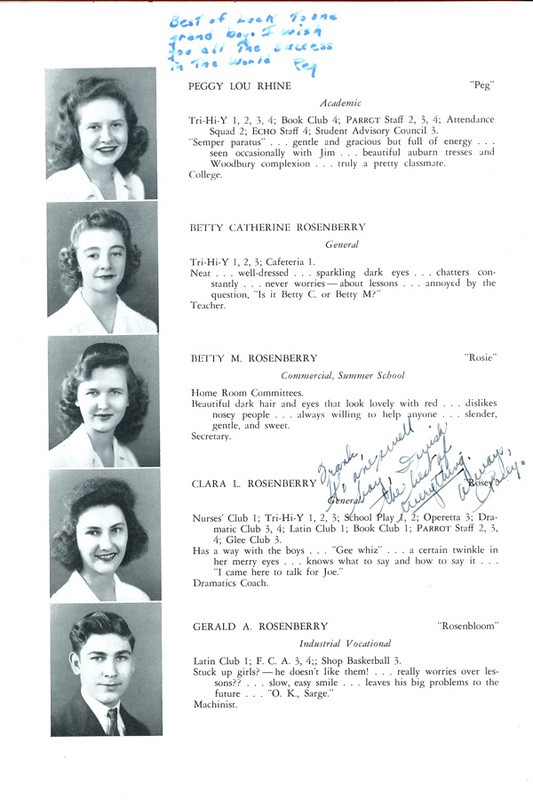 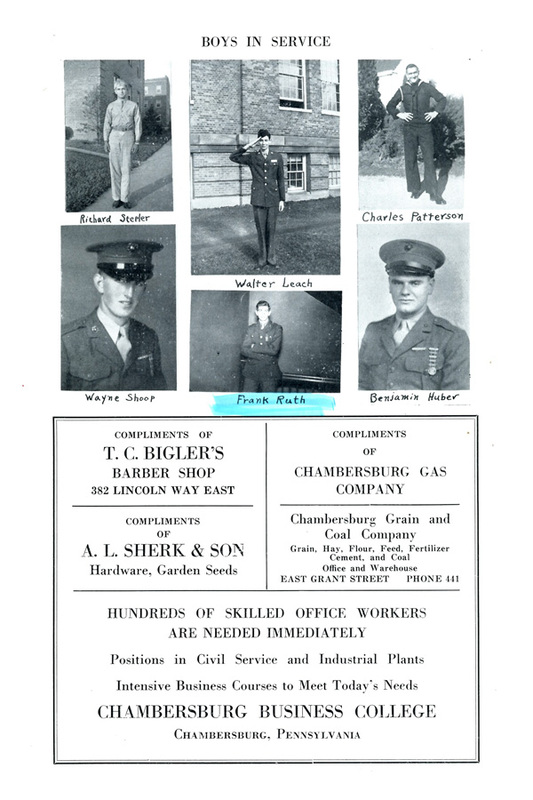 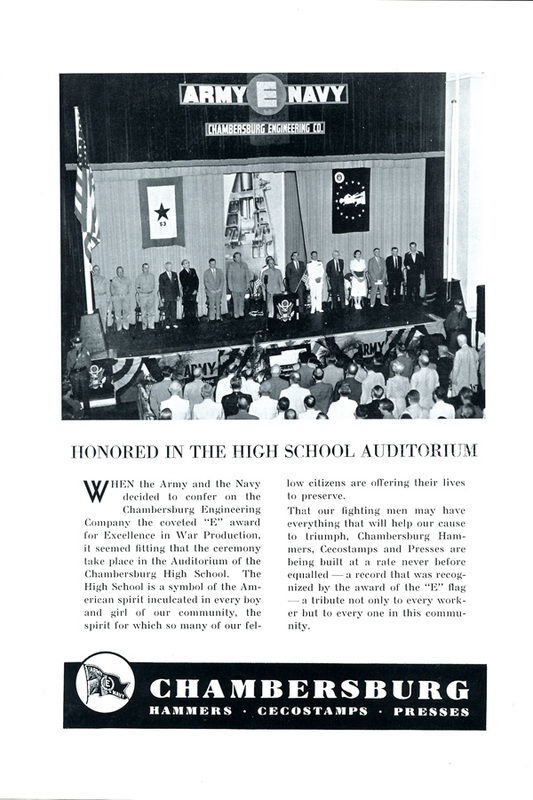 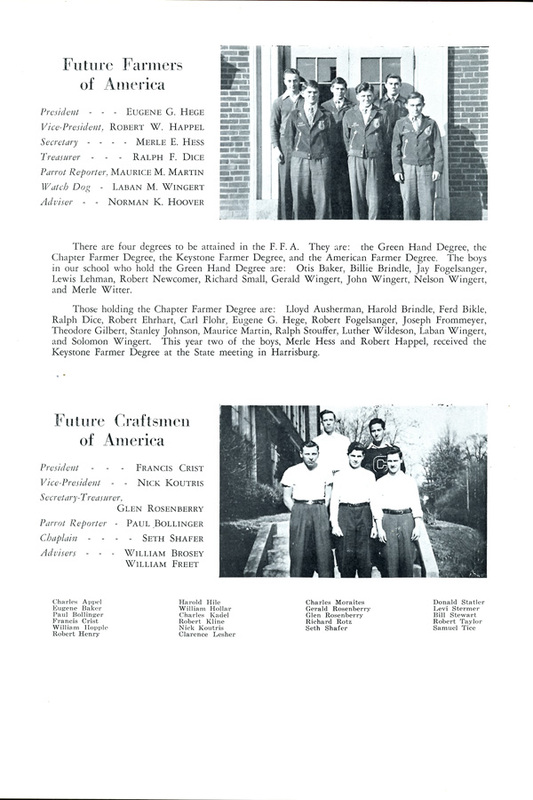 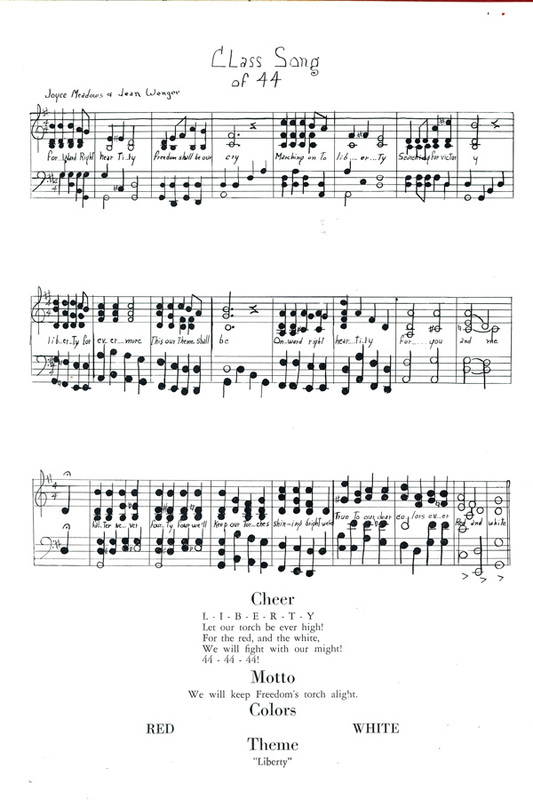 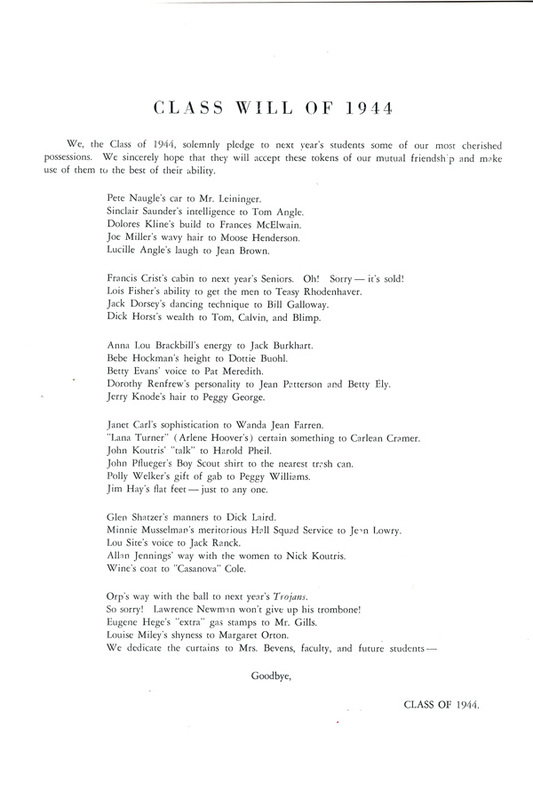 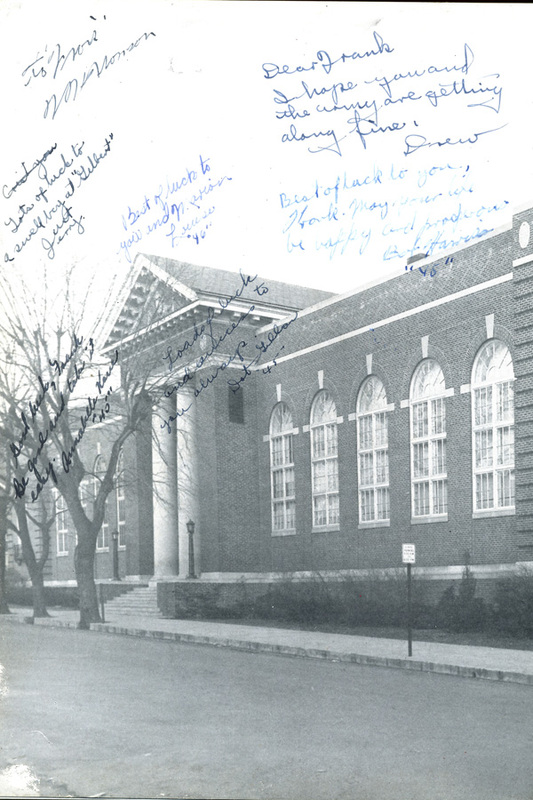 As such, by the time yearbooks such as the 1944 Chambersburg High School Echo were published, many former students were already enlisted and serving overseas. 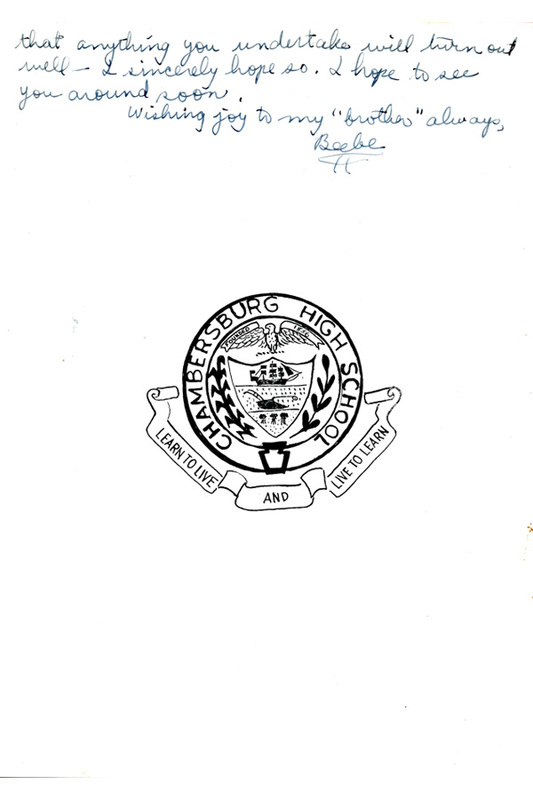 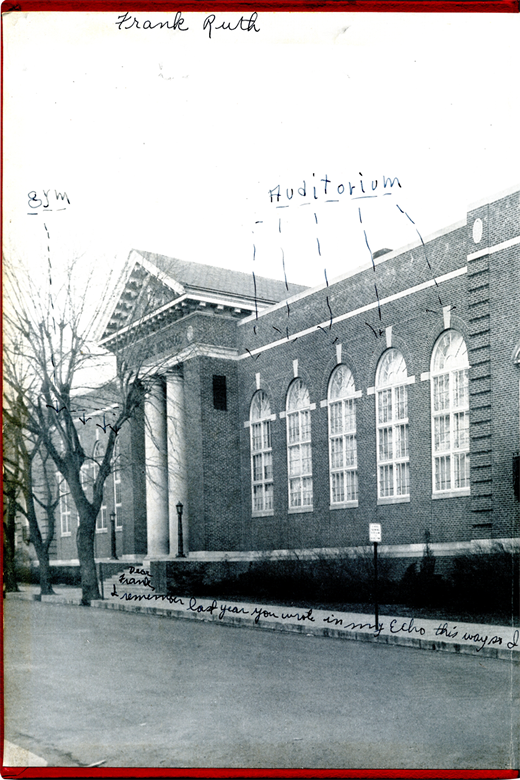 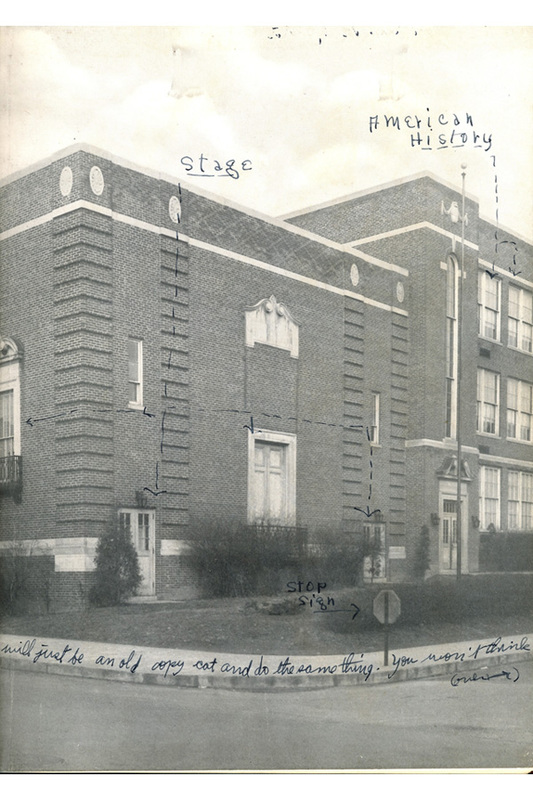 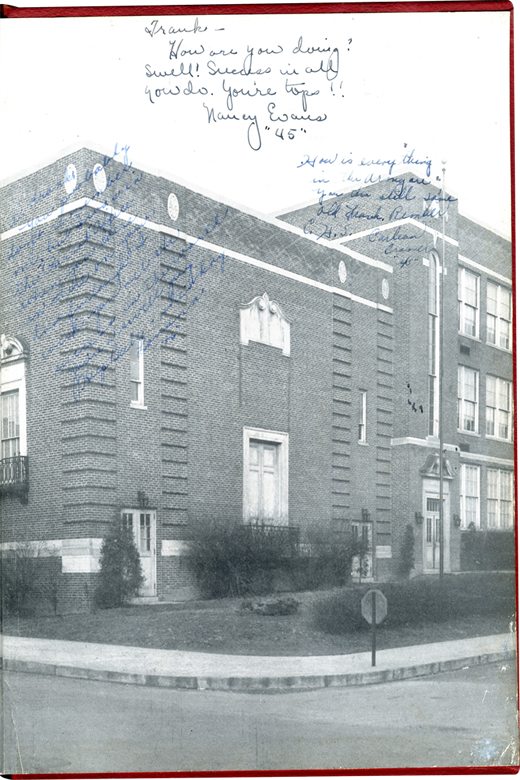 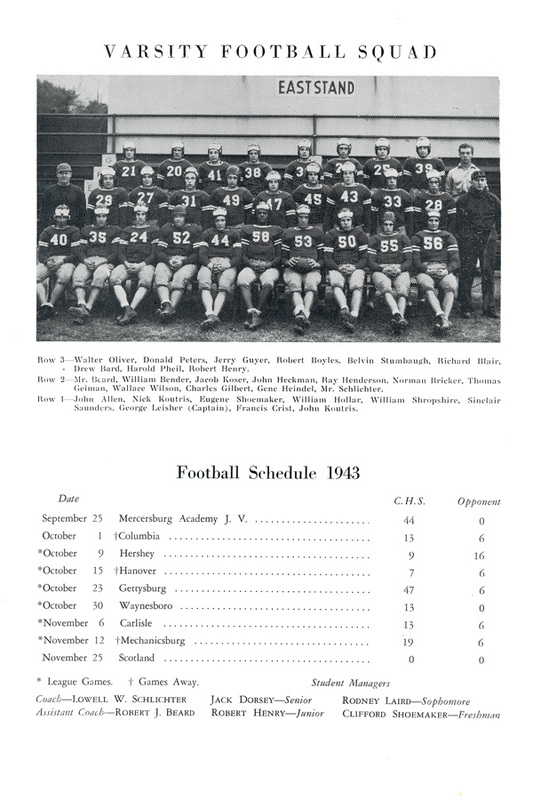 As Chambersburg High School seniors prepared for their graduation in May, 1944, the recipient of this yearbook was already fighting in Italy as part of the U.S. 5th Army. 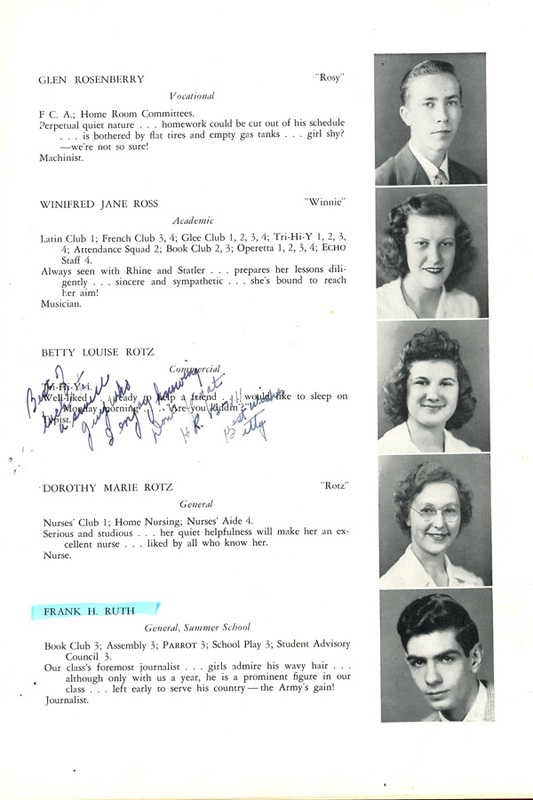 Unsurprisingly, the signatures and inscriptions that fill the yearbook wish their missing classmate good luck and safety. 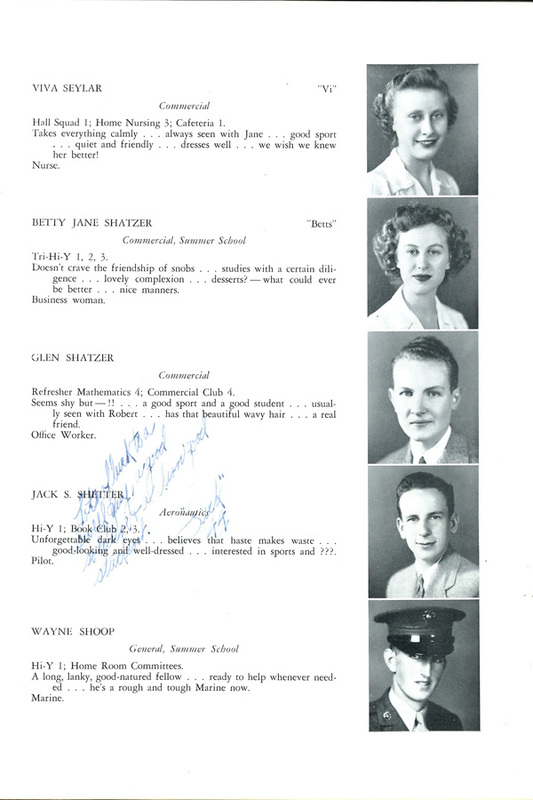 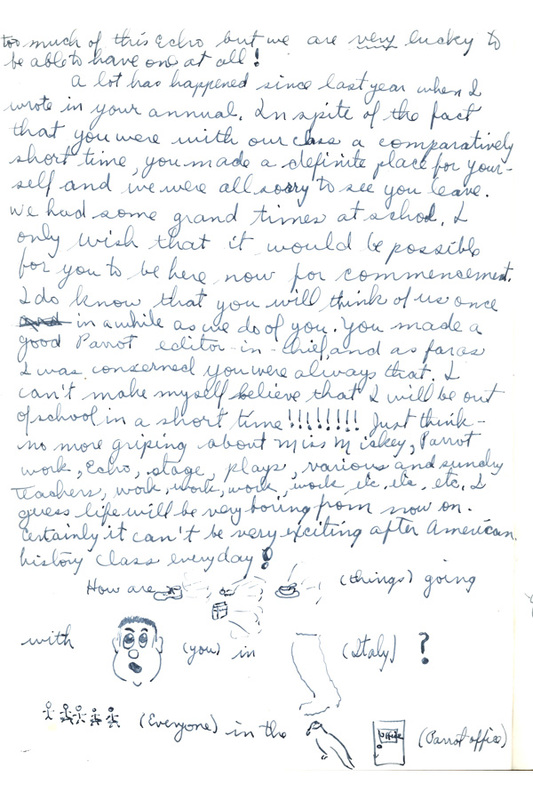 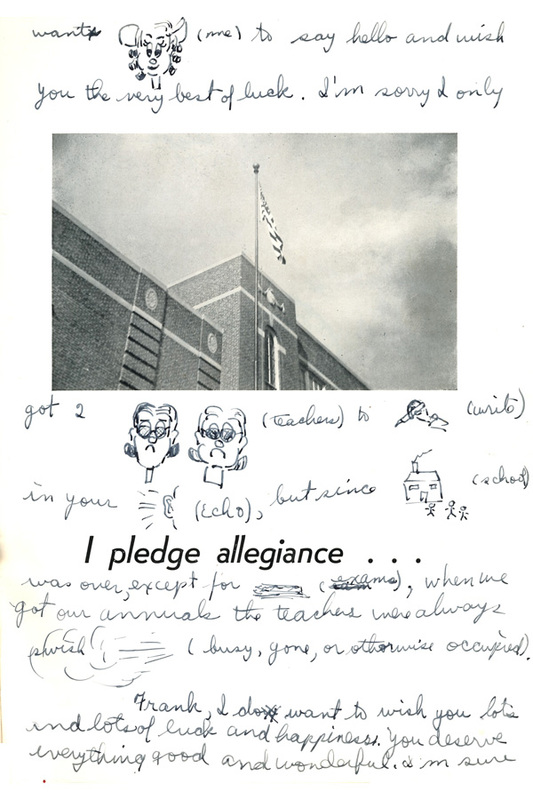 What are some of the other messages to the serviceman included in this yearbook?